In collaboration with the African Students Association of Concordia (ASAC), CEED wishes to hold a speakers’ conference centered around the theme of African development. 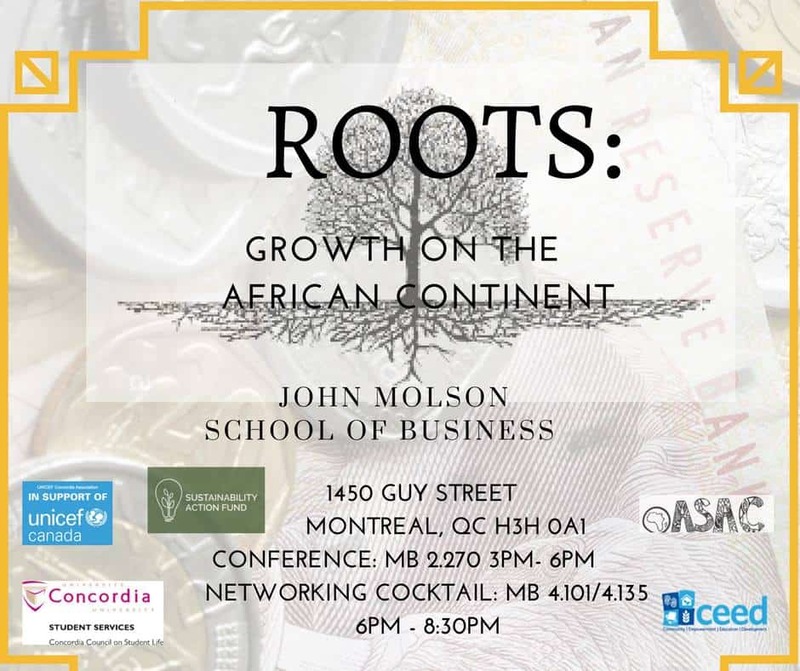 The Growth and Development in Africa Conference will be part of a three-day event, hosted by ASAC, that focuses on embracing African identities and celebrating the growth and advancements of African countries. CEED Concordia expects this speakers’ series to serve as an engaging alternative to the sensationalized stories that are often found in global news media networks. With a diverse panel of speakers of various academic backgrounds, our aim is to not only provide guests with multiple perspectives on sustainable growth in Africa but to inspire them to consider the real world applications of their studies.